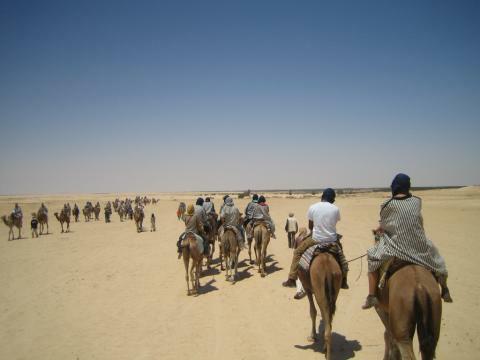 The best place to ride camels is in the area of Zaafrane, 14 km southwest of Douz. There are no high dunes in this area, but it is still a worthwhile experience. Tourists can pay extra money to wear "traditional" normadic clothing while traveling in a caravaan of camels. Bring lots of suntan lotion and water.